Books breed. There is no other explination | Catalogue This! My books breed. There is no other explination. I have come to the conclusion that when I go to sleep at night, my books are getting together for a late-night rendez-vous, resulting in little books appearing out of nowhere. Pictured here is most of my book collection (I had to have a clean out when I left home, and again when I returned to Australia). 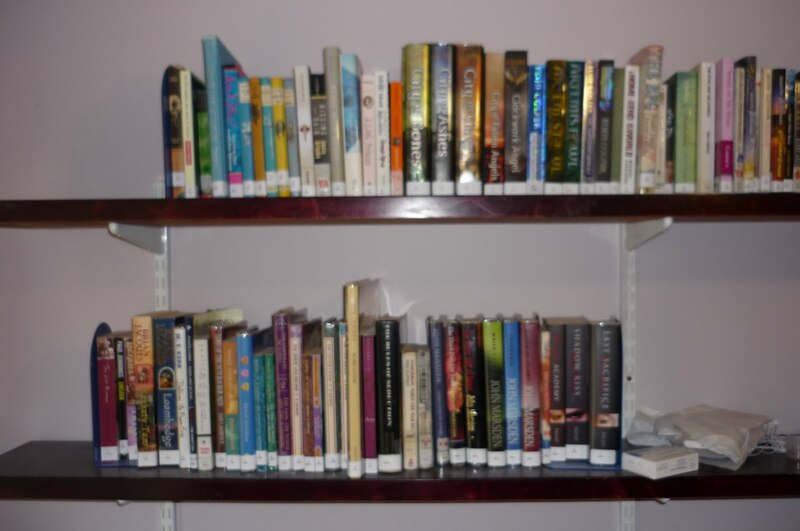 As it stands, I am missing at least four books, which have disappeared from the fave of my shelves, including Artimis Fowl, Artimis Fowl and the Arctic Incident (both by Eoin Colfer), The Wind Singer, and Slaves of the Mastery (by William Nichols). Died in childbirth perhaps? Not pictured here is the stack waiting to be properly catalogued, covered and labelled, before I can shelve it (I catalogue my collection using BookCollector, because I am pedantic like that). Then there is the stack on and beside my bedside table, waiting to be read. Then there are the ones my sisters have tried to filch off me (I know where they are, and who has them!I just can’t seem to get a hold on them!). Plus my 135 e-books that I have catalogued. And that is just my fiction collection! In my kitchen, I also have more shelves with my magazine collection (which has serials from three seperate languages! ), and my non-fiction collection. Most of my non-fiction collection are various textbooks from uni, but there are also a number of books of medieval costuming, Belgian history and photography, the French language, and cooking. My serials are pretty under control (although I have a back log of a couple of months worth of Grok and InCite to get through), bu my non-fiction doesn’t have a spine label to be seen! There is a reason why the non-fiction is kept in a wardrobe- because if I look at it too much, it will drive me bonkers, and I will end up putting my life on hold while I catch up! Yeah, I would not be surprised if I were low-level OCD. My biggest problem though is, how do I get the book-breeding under control? Should I leave condoms out at night, along with a book or two on birth control? 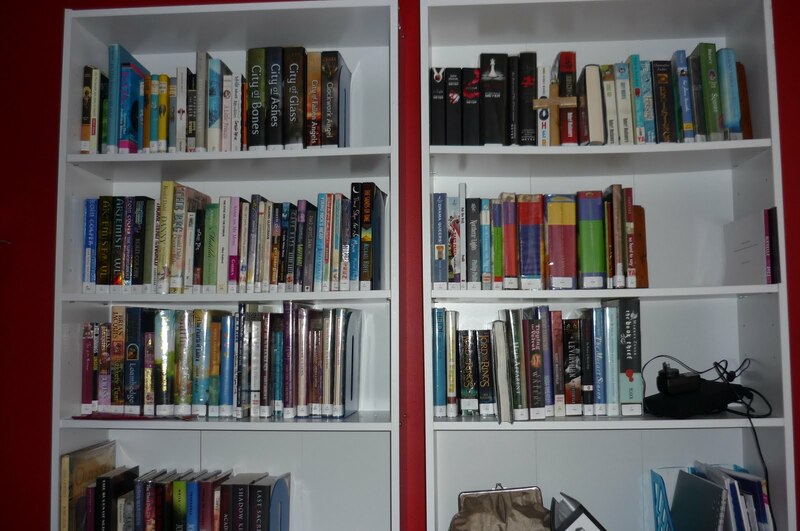 I am running out of space for shelves, and Richelle Mead, Cassandra Clare, Robert Muchamore and Christopher Paolini all have books coming out later in the year which I must buy in print form. I guess books are really the same as humans. No matter how much we try to slow population growth, we still keep on breeding. No matter how poor I am, I always seem to find funds for books.